LABOUR has emerged as the largest party on Council, winning 14 of the 32 seats in the May 3 Council elections. The result was announced at Grangemouth Sports Complex on Friday afternoon. 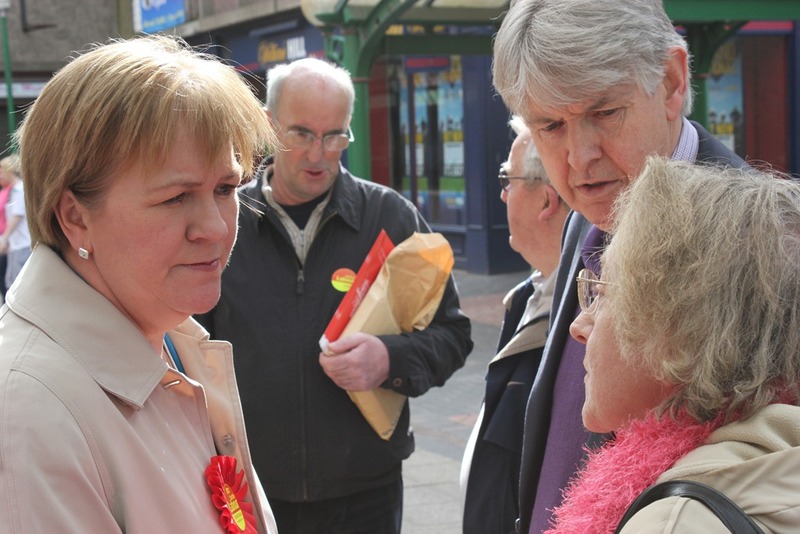 In Grangemouth, Allyson Black was re-elected alongside Labour newcomer Joan Paterson. The Commission has also been sending out an information booklet to every household in Scotland. You can download the information booklet here. 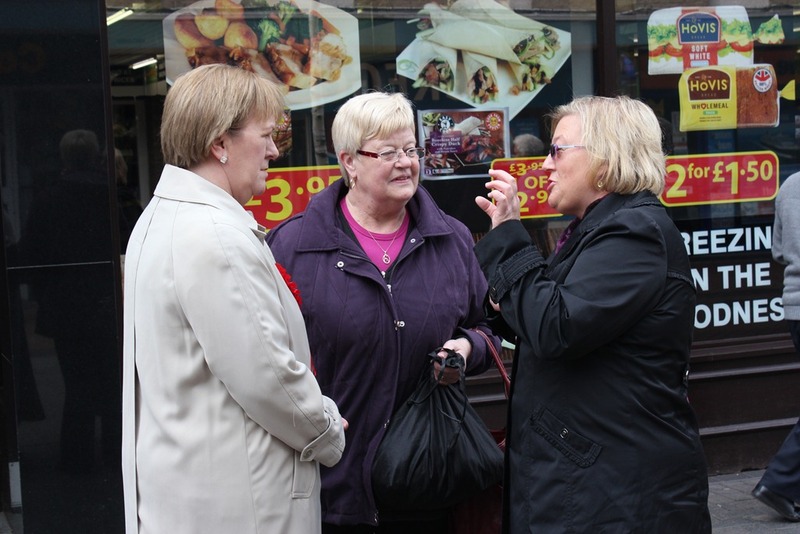 SCOTTISH Labour leader Johann Lamont visited Grangemouth on Wednesday to chat to voters and meet local candidates, including Cllr Allyson Black (right) and Joan Paterson (left). 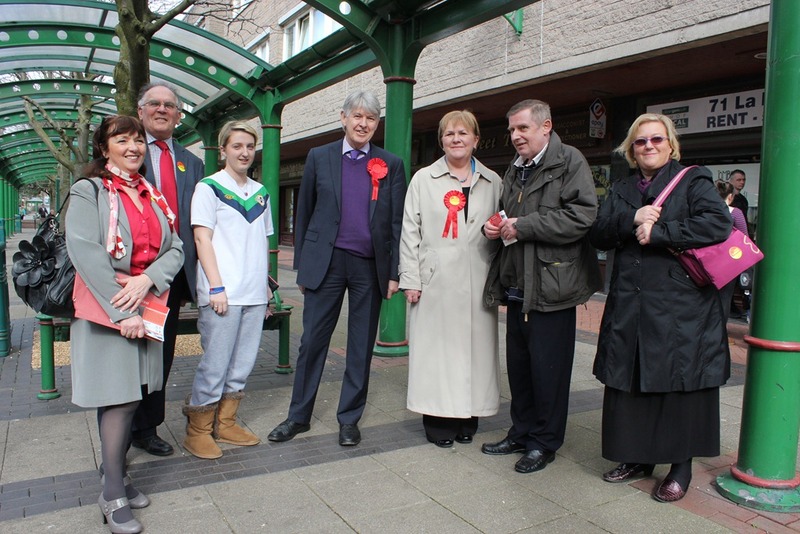 Our picture also shows Provost Pat Reid, local Labour MP Michael Connarty and some local voters. 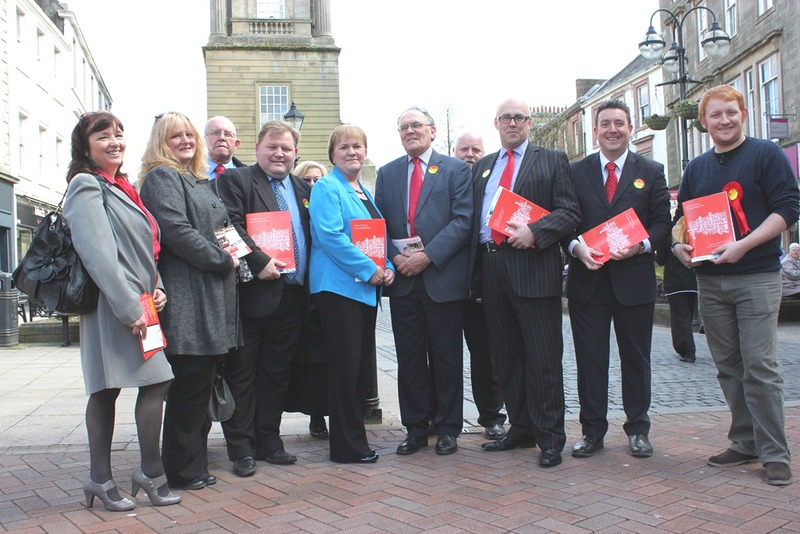 The party is fielding a total of 16 candidates in the Falkirk Council elections on May 3. Read full profiles here. 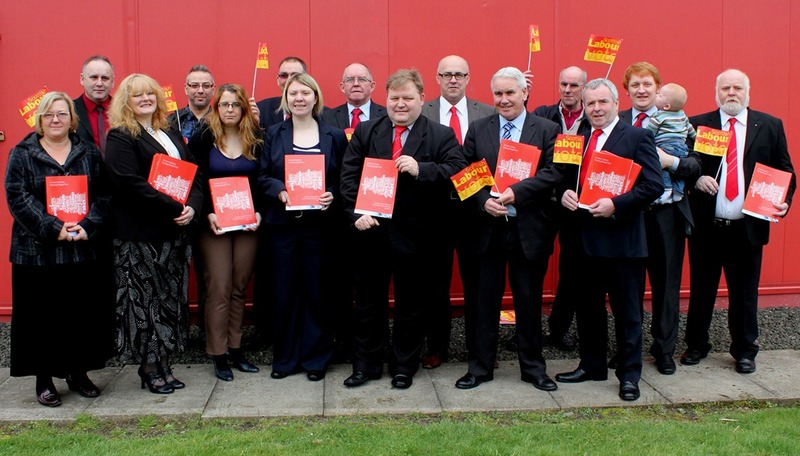 You can also read the party’s manifesto for Falkirk district online. Earlier, Johann toured Falkirk High Street and visited local radio station Central FM. 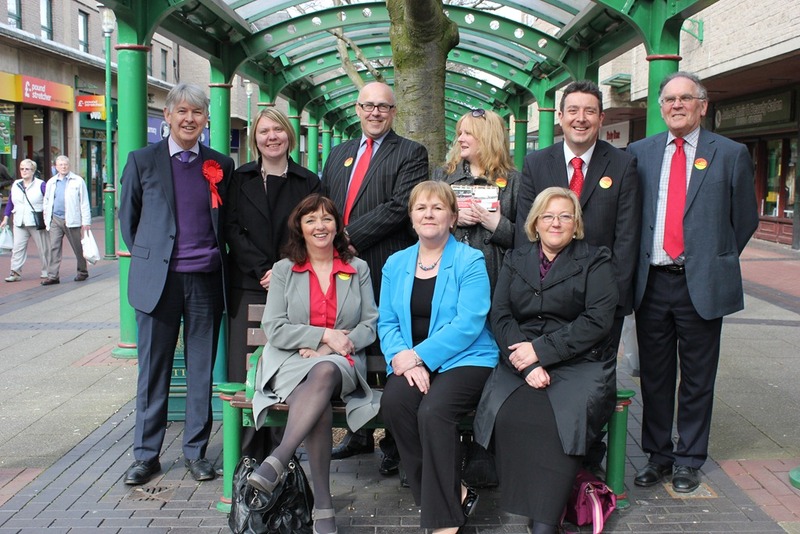 Above: Johann with candidates in Falkirk town centre. Please remember that the deadline to apply for a postal vote in the forthcoming Falkirk council elections on May 3rd, is 5pm on April 18th. To get an application form, go to www.saa.gov.uk/central or phone the Electoral Registration Office on 01786 892289.